Note: If appropriate printer model not available in your system then install the latest version of the HPLIP driver. 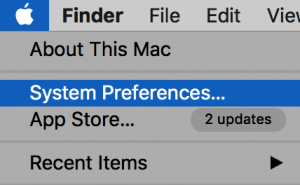 Go to System settings → Printers or Search your computer for printers. 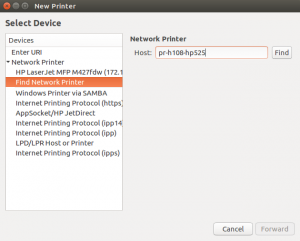 Select Network Printer → Find Network Printer. Once the printer is found click on the Forward button. 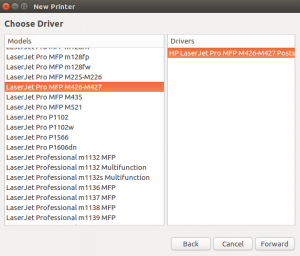 Under Choose Driver field Select Printer from database and click on HP on the Makes field. Then Forward button. Click on the Appropriate Model of the Printer and Forward → Again Forward. Change the Name of the printer ( Optional ). Click on Apply. Give a test page print to check if everything is configured properly. 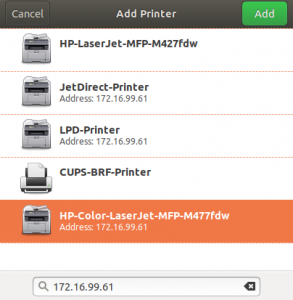 Enter [Printer DNS].icts.res.inType the of the printer in the Search Field. Wait till it detects the drivers and Model of the printer. Select the printer & Click on Add. 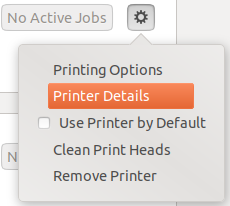 OPTIONAL - to change the name of the printer click on the gear icon next to the printer and select Printer Details. Now change the name and close the window to take effect. 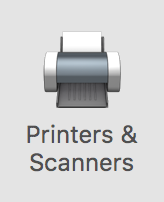 Click on Printer & Scanners option. Click On ‘ + ‘ Sign to add a Printer. 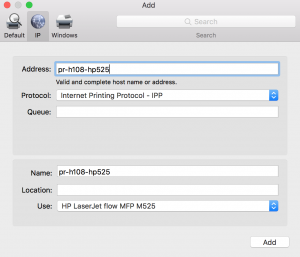 Choose IP Option & add the [PRINTER DNS].icts.res.in of the Printer. Click Add Option after Loading. Check If the printer installed by giving a test print. Optional : Click on Options and Supplies... to assign a printer name. Note: In some system HP Color 477 printer driver not updated, Follow the below URL for manual installation. Note: Download the Driver-Universal Print Driver PCL6 from the HP Website. Double click on the downloaded file. Click on Unzip. Setup Window will popup now click on Yes. Select Dynamic Mode and click Next. 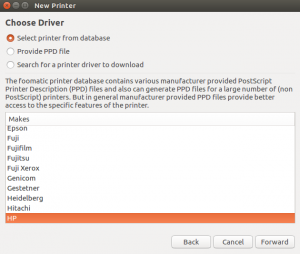 After Driver installation Devices & Printers Window will popup. Click on The Printer that I want isn’t listed. Click on Add a printer using TCP/IP address or hostname. Click on Next. Enter the [PrinterDNS].icts.res.in in the Hostname or IP Address field. Wait until it detects the Driver of the printer. And click Next. Optional - Give a printer name. Click on Next. Choose whether to share your printer and click Next. Click on test print to check if everything if configured properly. Note: To Access the Add Printer screen again in future, please follow the below procedure. Click on Windows button → Settings → Devices → Printers & Scanners. Click on Add a Printer or scanner.